Salvatore D. Lecesse – of Woburn, January 29th. Beloved husband of the late Bette (Regan) Lecesse. Loving father of Paul F. Lecesse, his wife Carol of Groveland, Lauren A. Kane, her husband Michael of Woburn and Coreen P. Riley, her husband Kevin of NH. Cherished “Papa” of Alison, Catherine, Michael, Connor, Taylor and Kristyn. Dear brother of Roy Lecesse of Cambridge and Charles Lecesse of Wareham. Life partner and best friend of Carole McCauley of Woburn. Also survived by many loving nieces and nephews. Relatives and friends are invited to pay their respects at the Lynch-Cantillon Funeral Home 263 Main St., Woburn on Saturday, February 2nd from 8:30-11:30 a.m. followed by prayer service at 11:30. Interment in Woodbrook Cemetery, Woburn. Remembrances may be made in honor of Salvatore to St. Jude Children’s Research Hospital, PO Box 1000, Dept. 142, Memphis, TN 38148-0142, or visit www.saintjude.org. Salvatore Dominic Lecesse of Woburn, MA passed away unexpectedly on January 29, 2019. Sal was born in Everett, MA and was the son of the late Dominick and Lucy (Gigante) Lecesse. 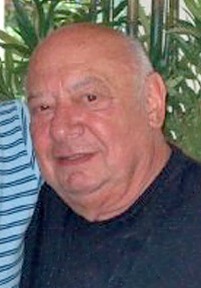 He was the husband of the late Bette Ann (Regan) Lecesse and partner of Carole McCauley. Sal grew up in Cambridge, MA and attended Rindge Vocational Technical High School. He started working at Raytheon at age 16, starting on the loading dock and working his way up to Manager of QA Stores and was a key part of Raytheon’s Missile Systems Division. He retired from Raytheon after an amazing 43 years. Sal moved to Woburn in 1961 where he and Bette raised a family. They spent many years on Cape Cod in Wareham, MA where he enjoyed boating. Sal and Bette were both from large families and entertained large groups regularly at their home in Woburn. His cars were his passion. Later in life, Sal and Carole enjoyed each other’s company for over thirty years. For Sal, family was everything and he enjoyed spending time with them. Sal is survived by his partner Carol McCauley, his children, Paul and his wife Carol of Groveland, MA, Lauren and her husband Michael of Woburn, MA, and Coreen and her husband Kevin of Londonderry, NH. Sal had 6 grandchildren, Michael Lecesse of Manchester, NH, Catherine Lecesse of NYC, Alison Lecesse of Danvers, MA, Connor Riley of Nashua, NH, Kristyn Riley of Londonderry, NH and Taylor Kane of Woburn, MA. His siblings are Charles Lecesse and his wife Judy of Wareham, MA, Roy Lecesse of Cambridge, MA, and the late Guy (Bob) Lecesse and Vincent (Jim) Lecesse. Services for Sal will be held at the Lynch-Cantillon Funeral Home, 263 Main St., Woburn MA 01801. Phone 781-933-0400. Visiting hours are 8:30 AM until 11:30 AM. A short service will be held at 11:30 followed by interment at WoodBrookCemetery, 100 Salem St, Woburn, MA. Relatives and friends are invited to pay their respects at the Lynch-Cantillon Funeral Home 263 Main St., Woburn on Saturday, February 2nd from 8:30-11:30 a.m. followed by prayer service at 11:30. Interment in Woodbrook Cemetery, Woburn. Remembrances may be made in honor of Salvatore to St. Jude Children’s Research Hospital, PO Box 1000, Dept. 142, Memphis, TN 38148-0142, or visit www.saintjude.org. I am so sorry for your loss. May your warm memories of your father comfort you and may he Rest In Peace. Sal was our ‘Tool Room’ guy when I started at Raytheon in 1960. He was a good friend to all. I missed him when he retired and hold his memory in high regard. Sleep well, Sal. May he rest in peace . Sal was the best ever to help our Dept. through some early Raytheon years. My thoughts and prayers are with all of you at this time. Sal was a dear friend and my boss for the beginning of my career at Raytheon. He will be missed. So sorry to hear about Sal, I will miss him dearly. of his Kids. More than a Cousin , it was a privilege to call him a friend. Dear Lecesse family I am very sorry for your loss. May Sal rest in God’s most glorious peace. You will be dearly missed by both Leo and I. We will miss the times we got together and the phone calls. May Frank be singing to you all the way to heaven. RIP Salvatore.